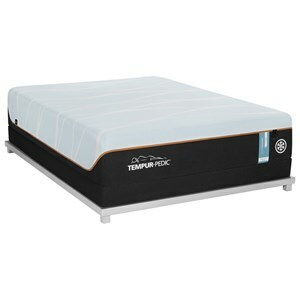 The California King Firm Tempur Material Mattress and TEMPUR-ERGO Adjustable Base by Tempur-Pedic® at Belfort Furniture in the Washington DC, Northern Virginia, Maryland and Fairfax VA area. Product availability may vary. Contact us for the most current availability on this product. 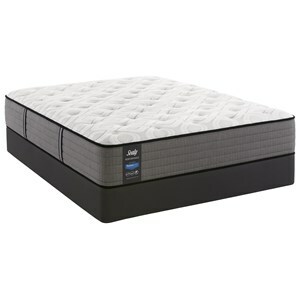 10244180 California King Tempur Material Mattress 1 13"
Let this LUXEbreeze Firm mattress from Tempur-Pedic change the way you sleep for the better. The Ventilated TEMPUR-APR® Support Layer helps with airflow and gives you personalized comfort and support while the TEMPUR-CM+™ Comfort Layer further regulates the airflow to keep you cool and comfortable all night. The top layer of the mattress is infused with a PureCool+™ Phase Change Material that absorbs excess heat, further keeping you cool and comfortable. Finally, a SmartClimate® Dual Cover System features a cool-to-touch outer layer that is combined with a super-stretch inner layer that can be easily removed with a 360-degree zipper. 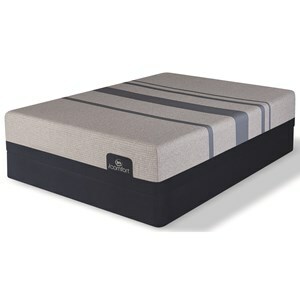 This firm mattress is ideal for stomach and back sleepers. The LUXEbreeze Firm collection is a great option if you are looking for Mattresses in the Washington DC, Northern Virginia, Maryland and Fairfax VA area. Browse other items in the LUXEbreeze Firm collection from Belfort Furniture in the Washington DC, Northern Virginia, Maryland and Fairfax VA area.